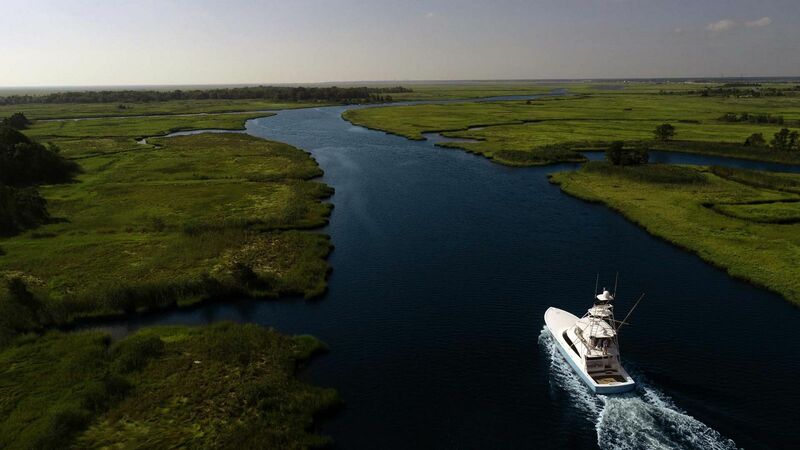 Also read: Your Resource Guide To Owning A New Viking Yacht. 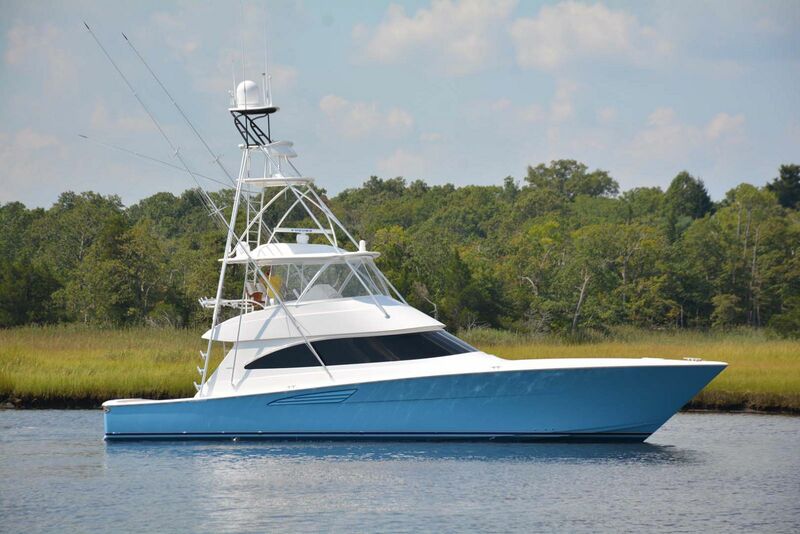 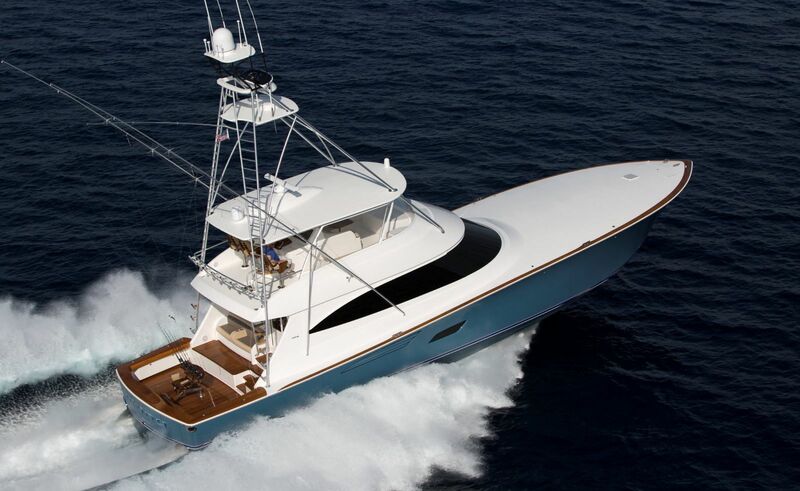 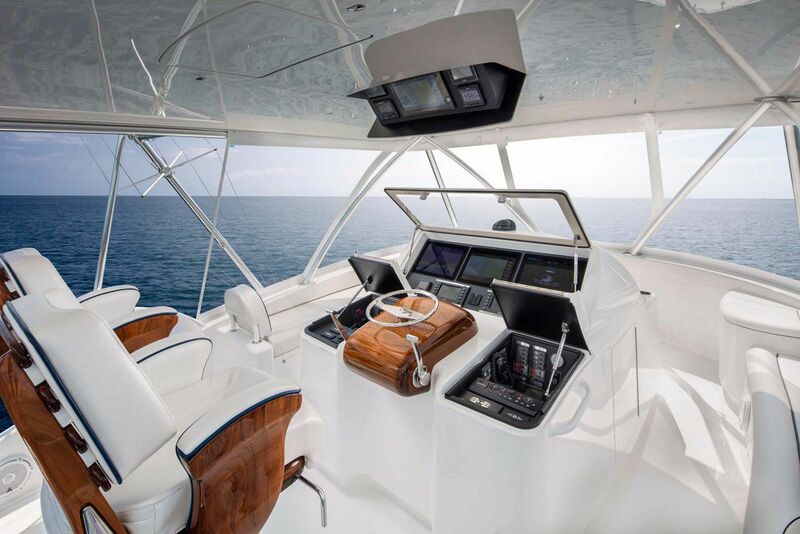 The fishing spaces aboard the new Viking 58 are simply incredible. 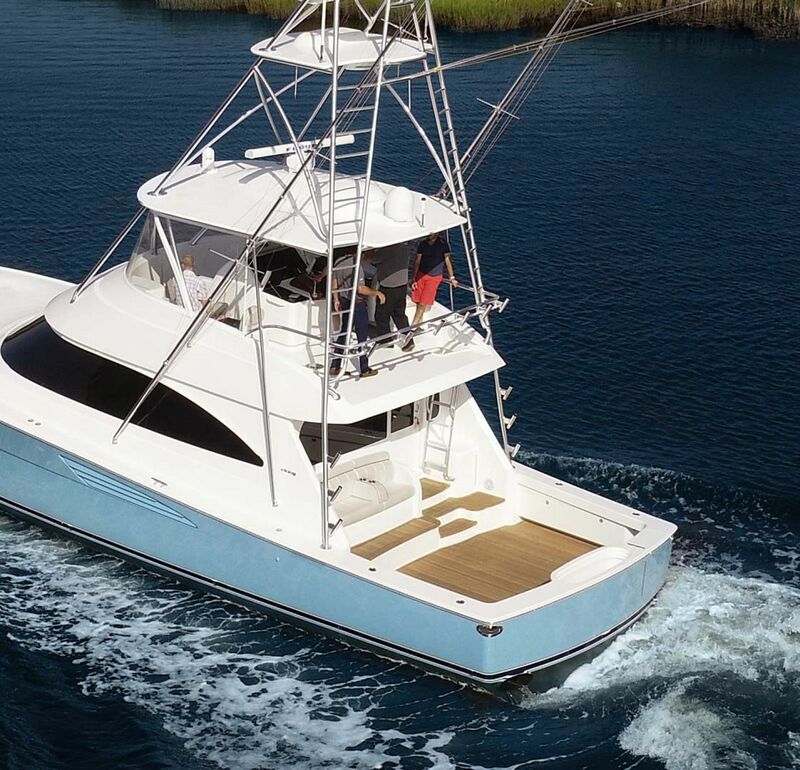 With the almost 18-foot beam, the cockpit is spacious and loaded with rod holders, livewells, in-deck fish boxes, and everything an angler could dream up. 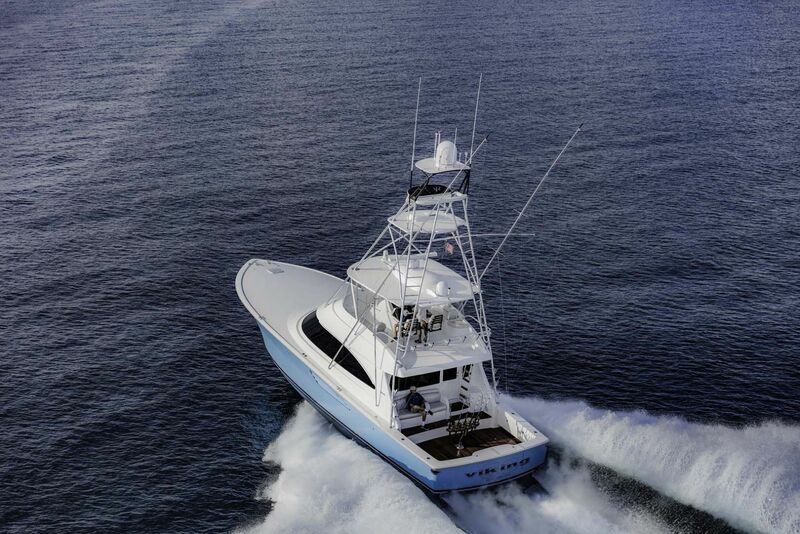 And measuring at an unbelievable 165 square feet of space in the cockpit, there is plenty of room for maneuvering around the angler battling during a heated tournament. 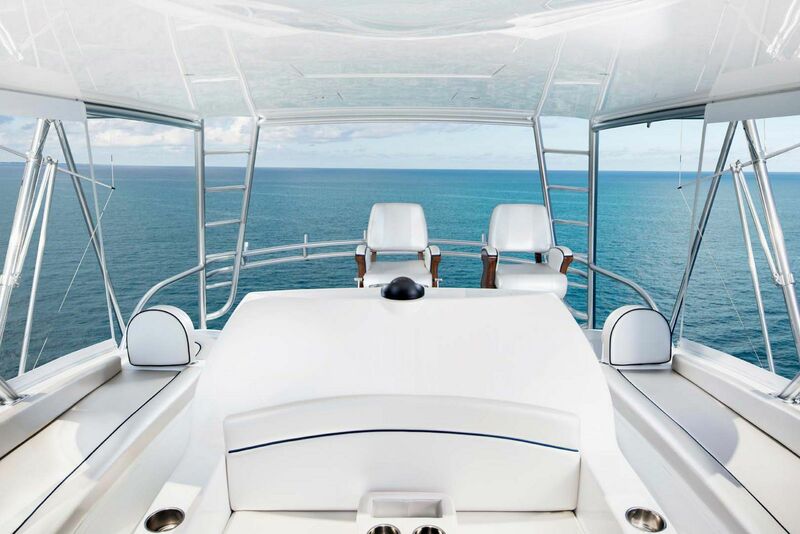 Viking's signature observation mezzanine overlooks the cockpit and provides a great space in the shade to watch the action from the leather seats. Just as exciting as the cockpit it the flybridge of the 58 Convertible which is an oversized space thanks again to the beam and solid construction. 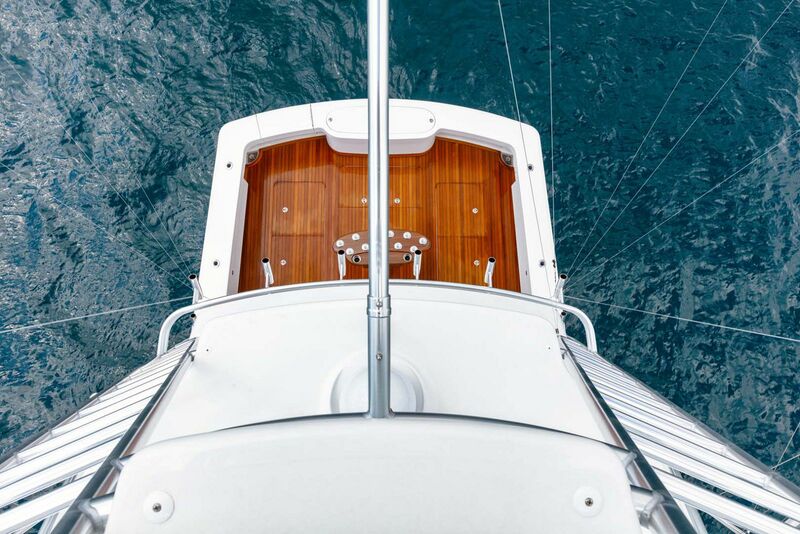 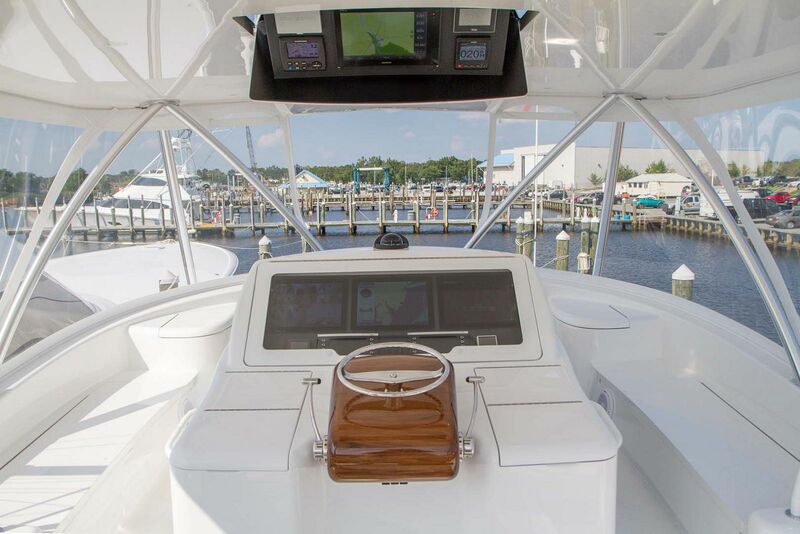 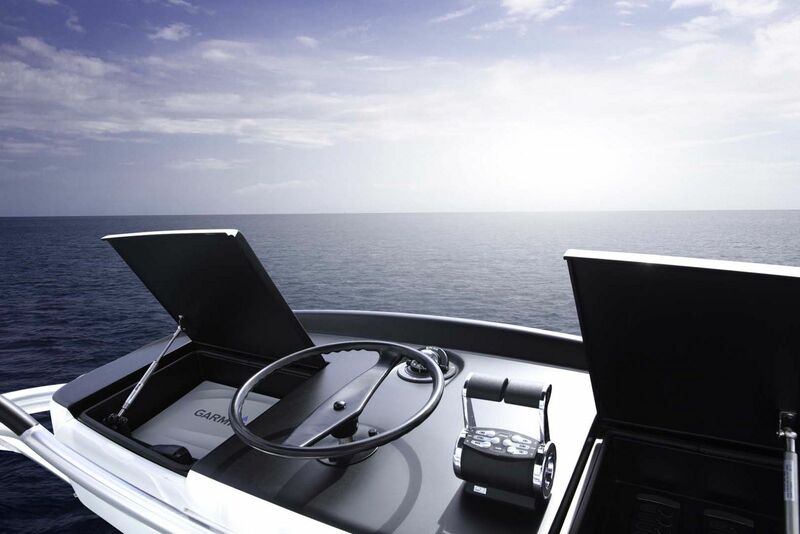 The center console walk-around command station on the flybridge is equipped with power-assisted hydraulic steering, single-lever electronic controls with station select and keypad, and electronic trolling valves. 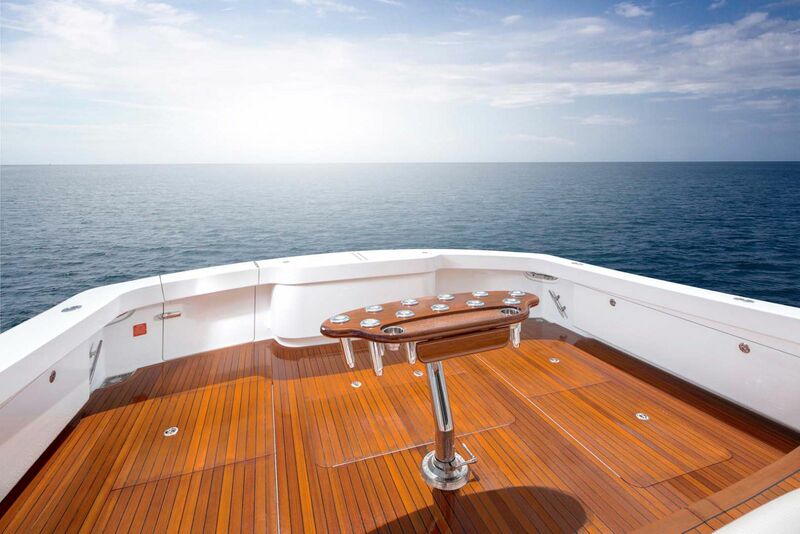 360-degree visibility is excellent in all directions. 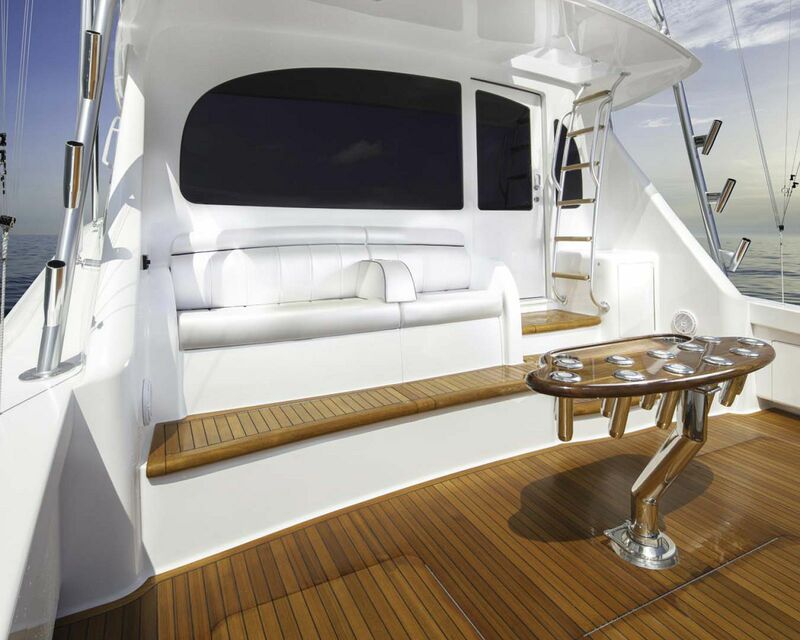 The captain and companion sit in two pedestal seats. 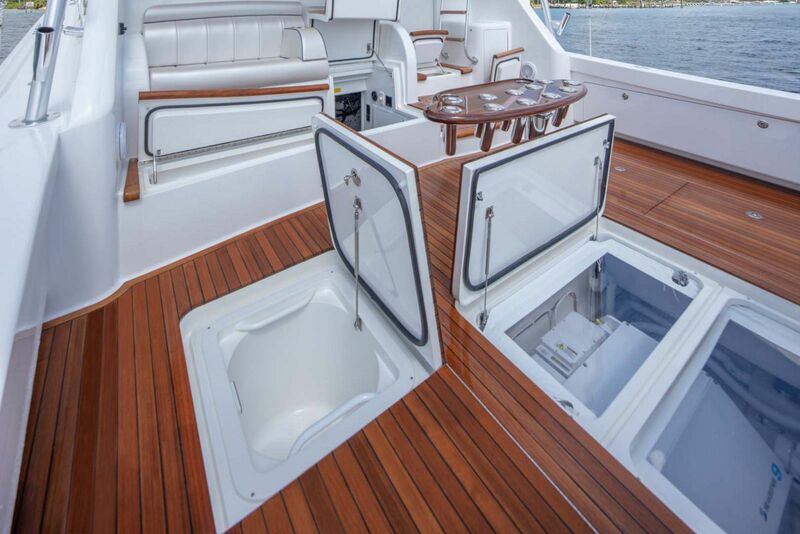 Guests have their choice of lounges that flank the console and an aft-facing jump seat on the starboard side. 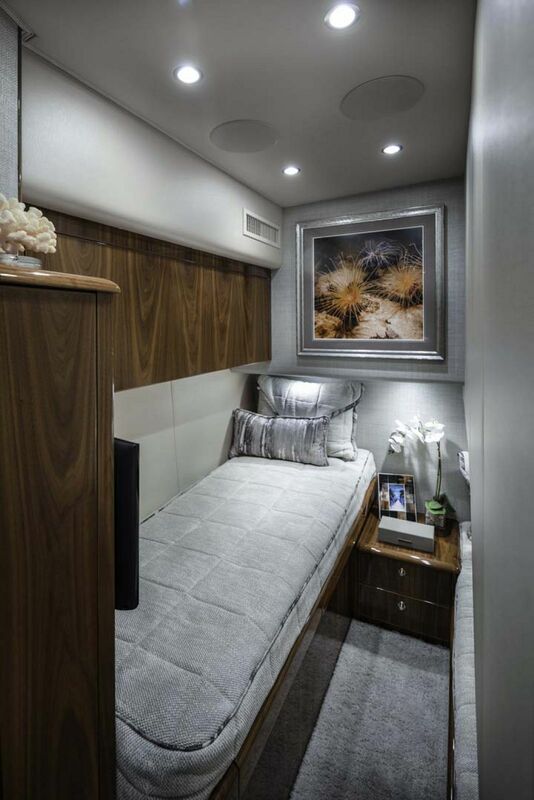 In true Viking fashion, the accommodations inside are first class. 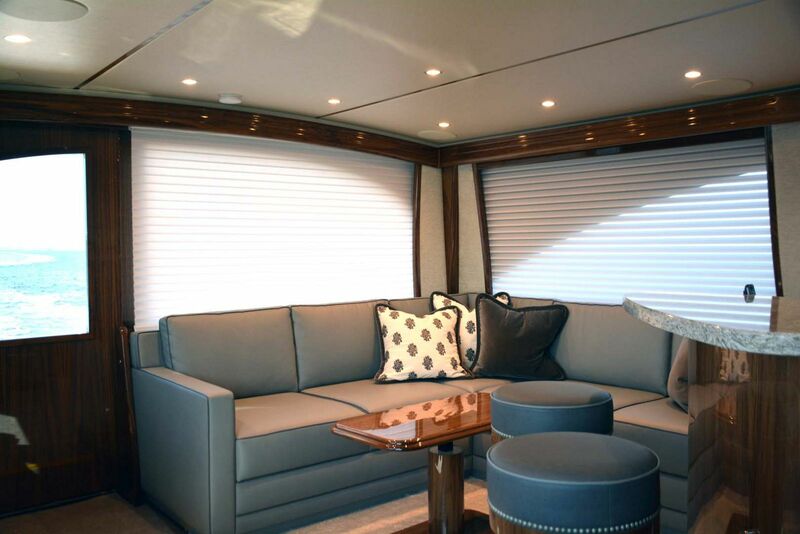 As you walk in from the cockpit, you will immediately notice the L-shaped couch and table across from the entertainment center with flat screen television. 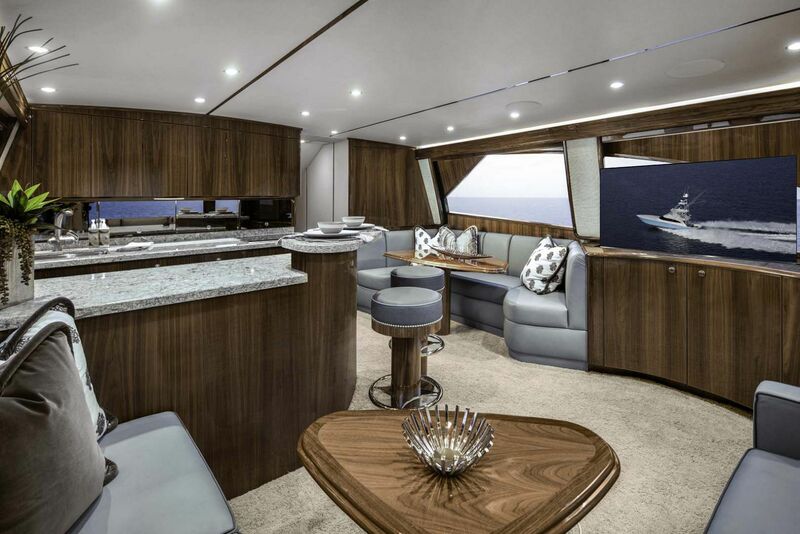 The open concept keeps everyone in the salon, galley, and dining area all connected. 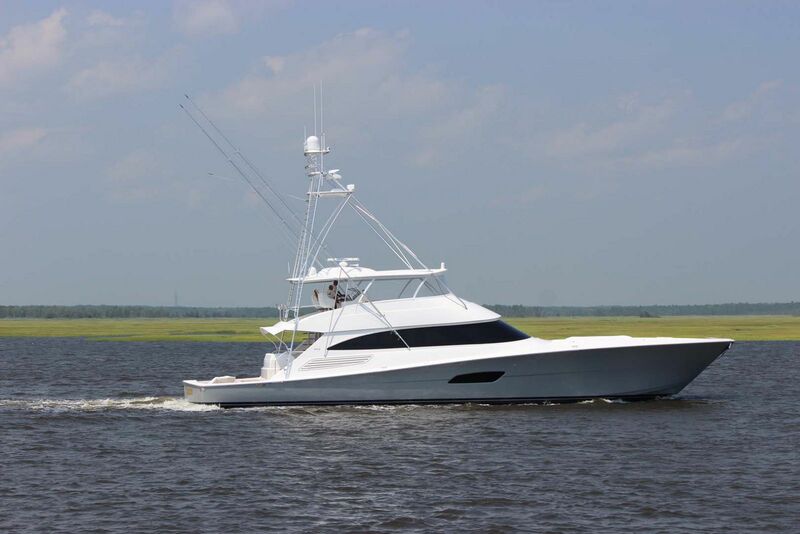 The galley is stocked with the highest quality appliances and is located across from the starboard-side dinette that comfortably seats four adults. 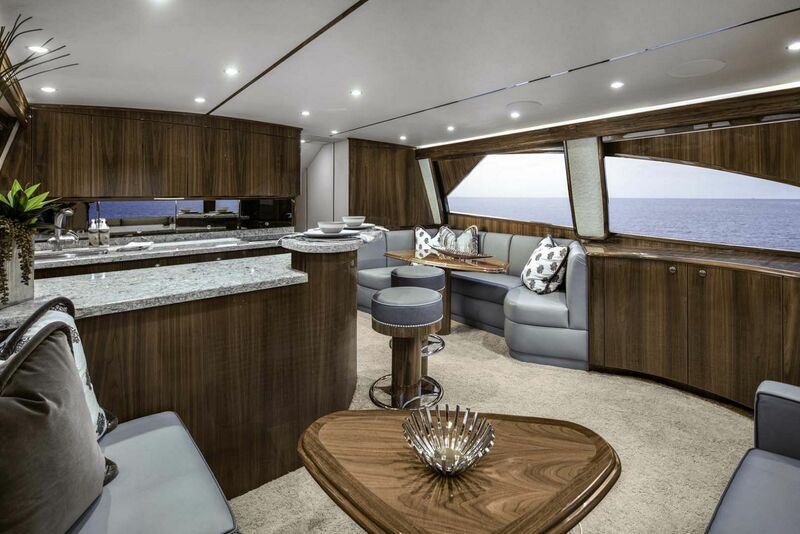 The galley features engineered stone counters, Amtico flooring and a two-stool bar area as well. 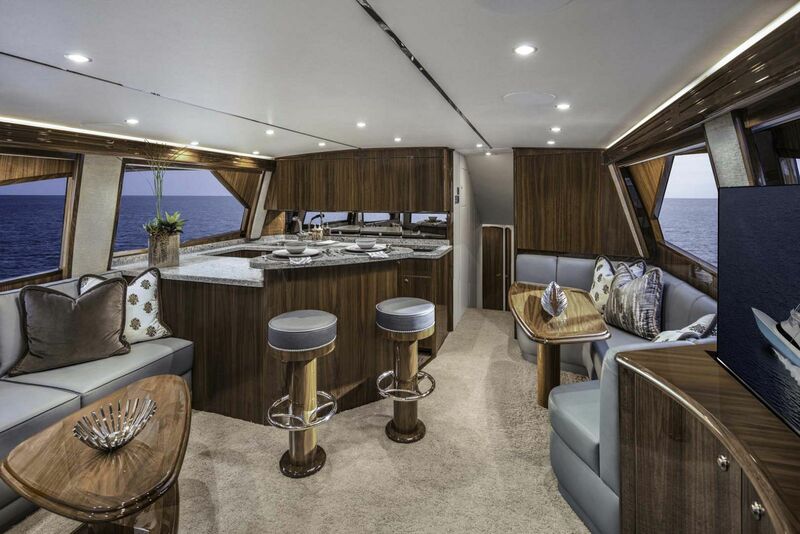 Under-counter Sub-Zero refrigerator and freezer units with deep pull-out drawers, high-gloss teak-faced cabinetry, a four-burner cooktop and a microwave/convection oven will impress even the most discerning chefs that might be on board. 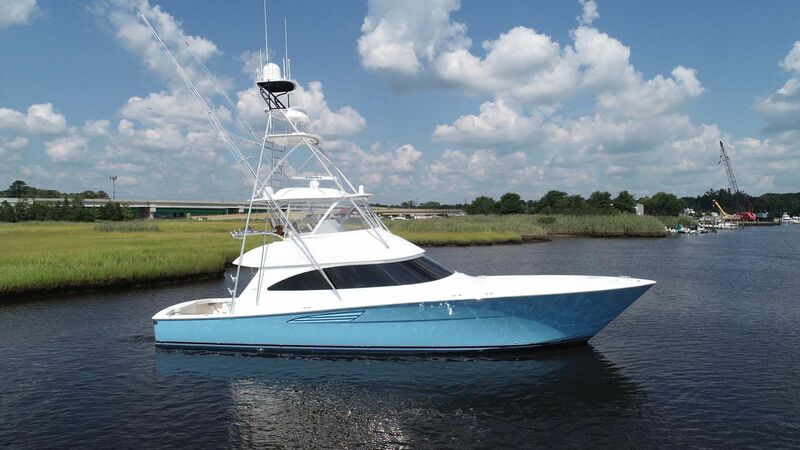 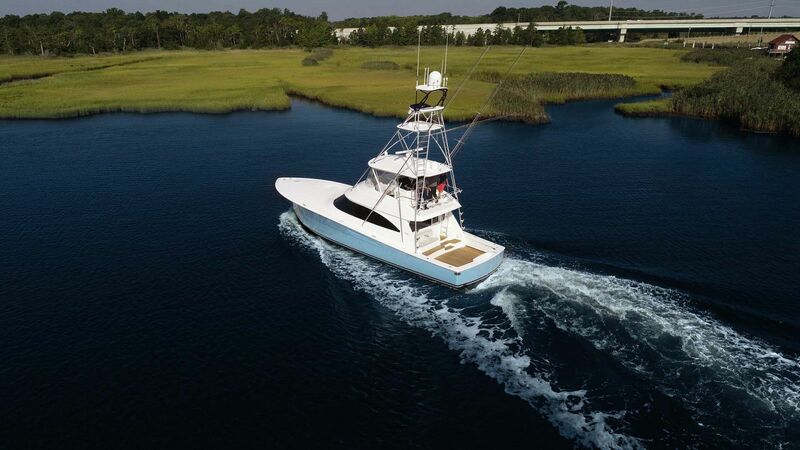 Longer fishing excursions require more cold space and more storage to take care of a hungry crew on board and Viking makes sure there is plenty of room. 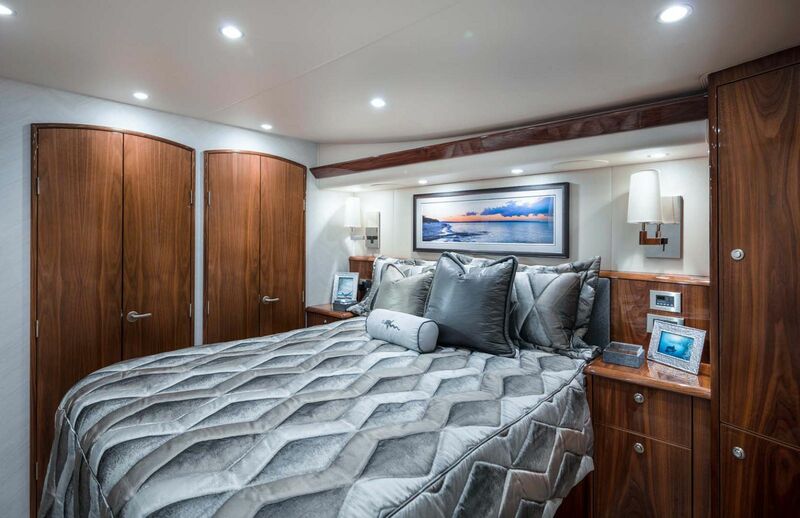 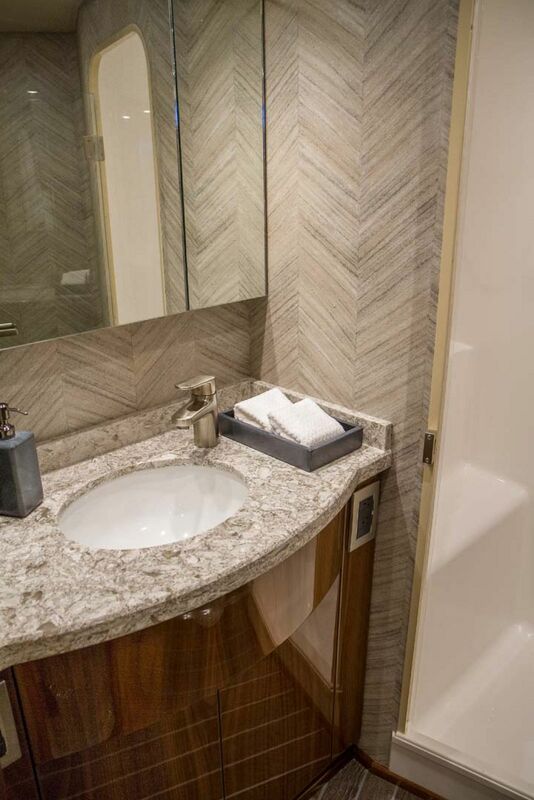 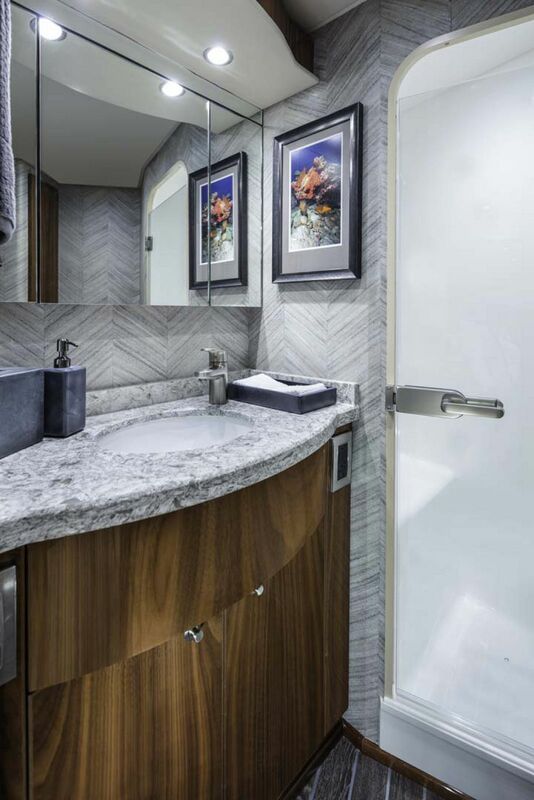 The three-stateroom, two-head layout on the Viking 58 Convertible is customizable depending on what the owner chooses to do with the stateroom layouts. 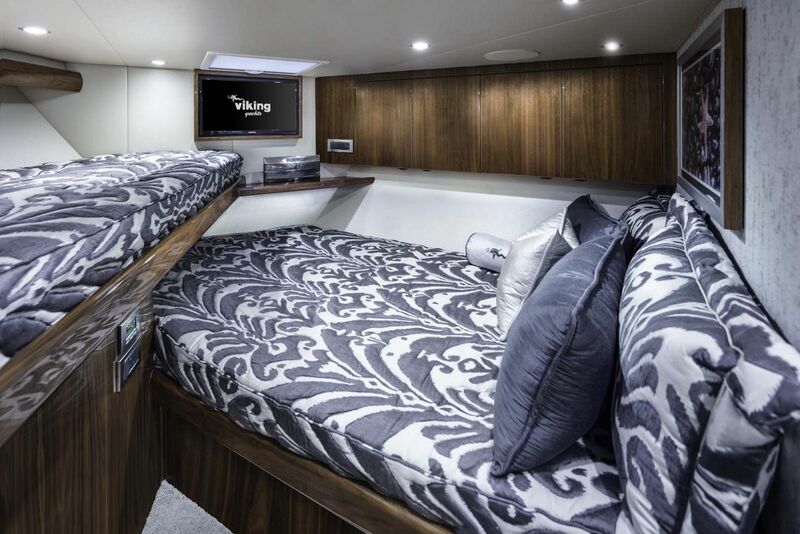 Either the second stateroom can be a forward-placed VIP with queen-sized berth or it can be changed out with cross-over bunks. 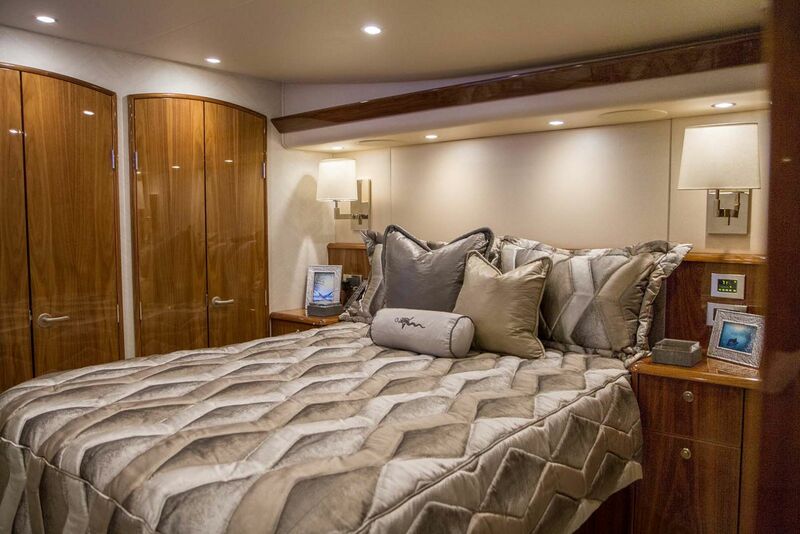 The master cabin has its head ensuite and features a queen-sized berth and ample storage spaces. 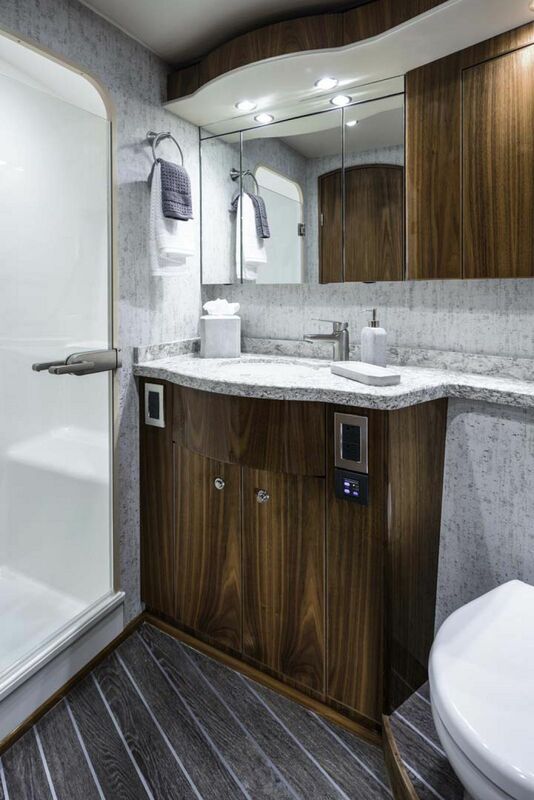 There is a washer and dryer placed in between the guest staterooms in the companionway. 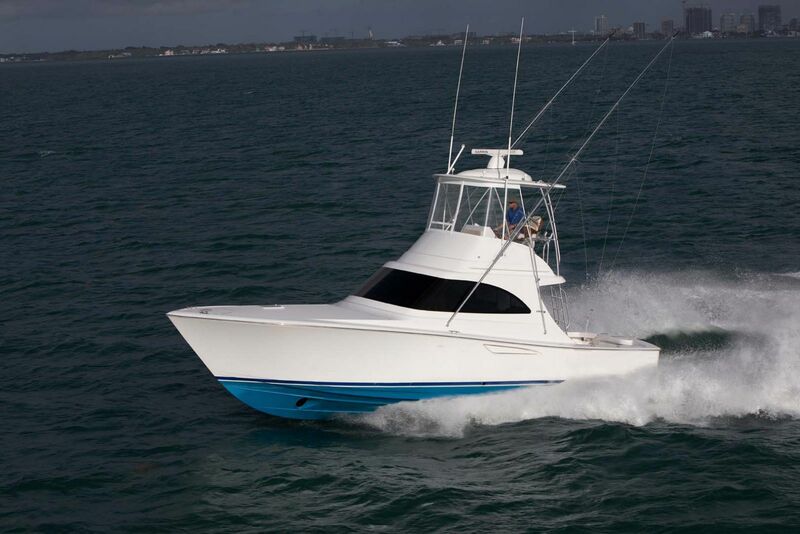 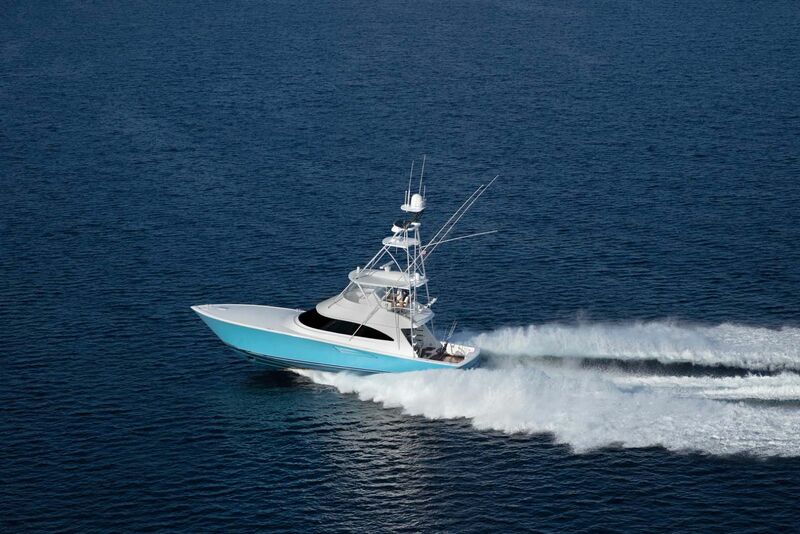 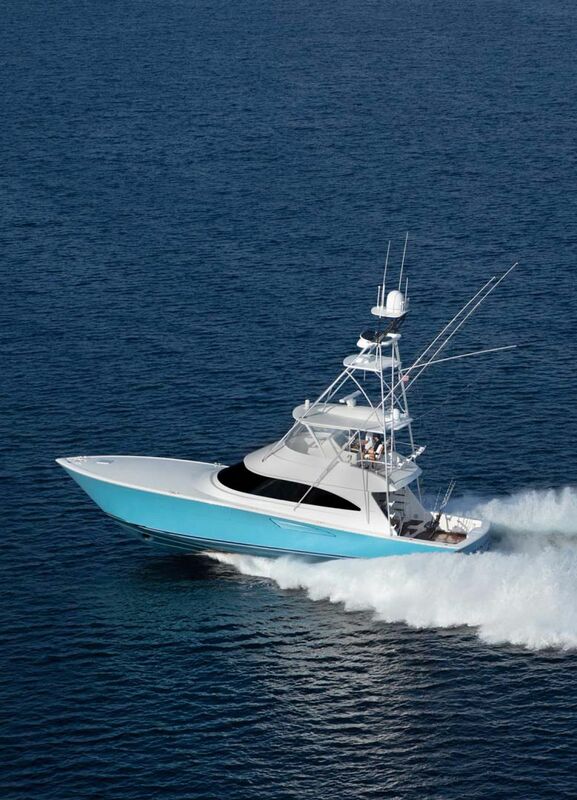 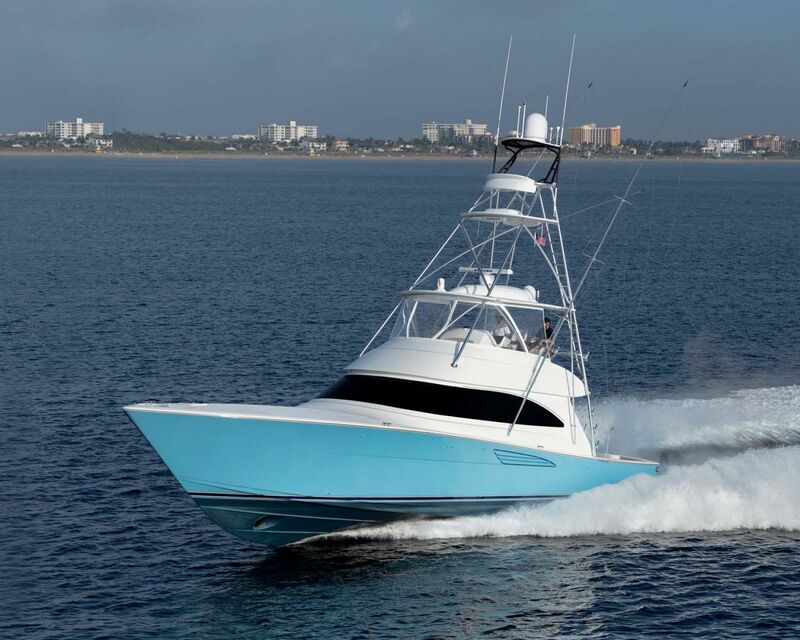 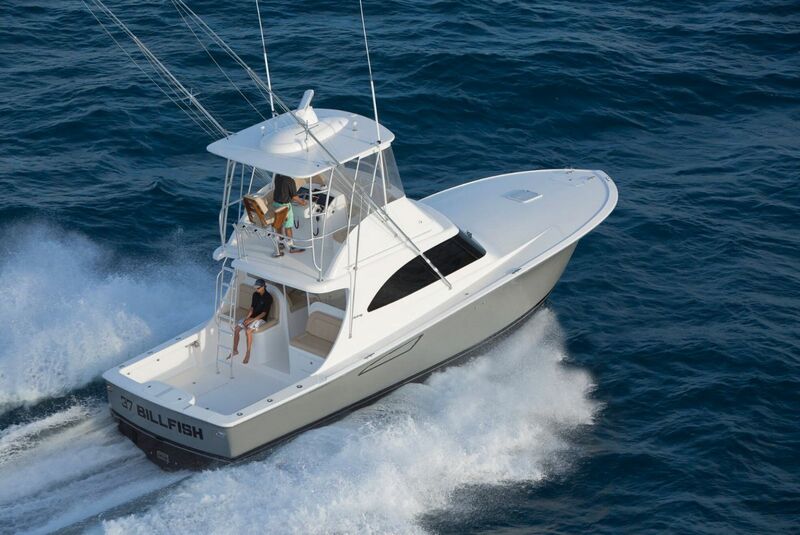 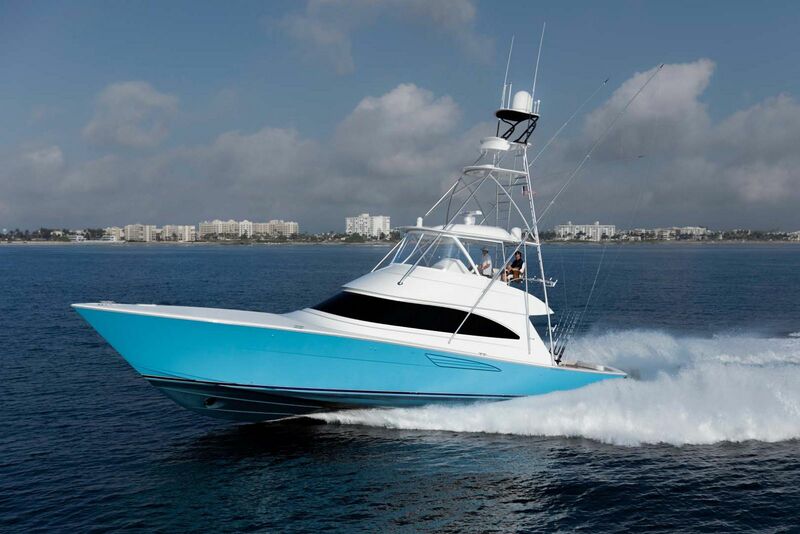 A Viking Sportfish wouldn't be complete without some serious horsepower and the 58 Convertible is no exception. 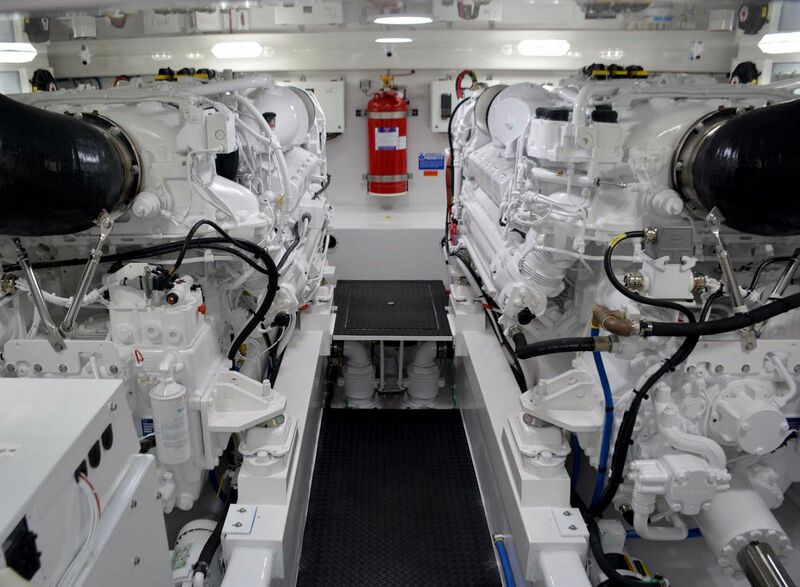 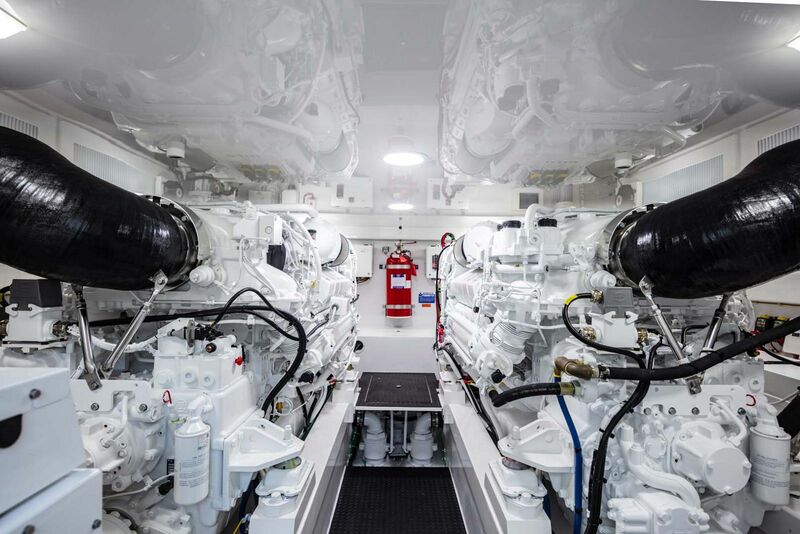 Owners have a choice of multiple propulsion packages from either MAN or MTU. 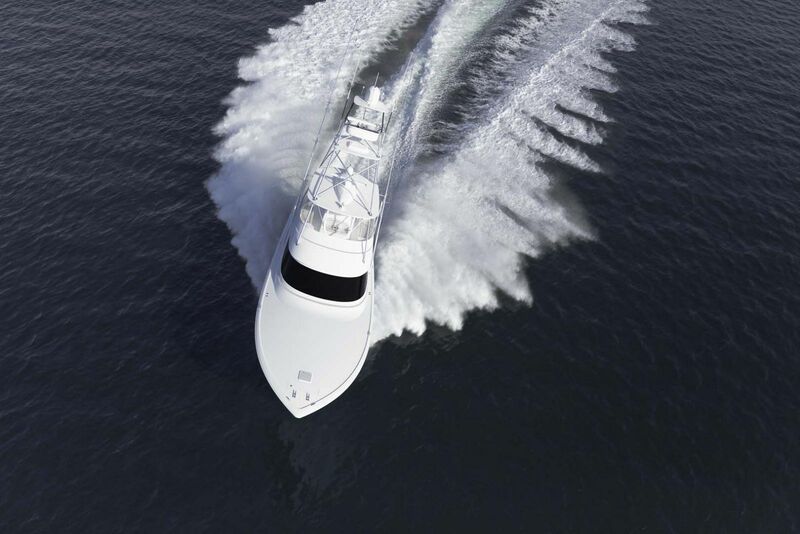 The first 58 Convertible that will debut at the Fort Lauderdale Boat Show comes equipped with MTU V10 2000 M96L 1600HP each diesel engines. 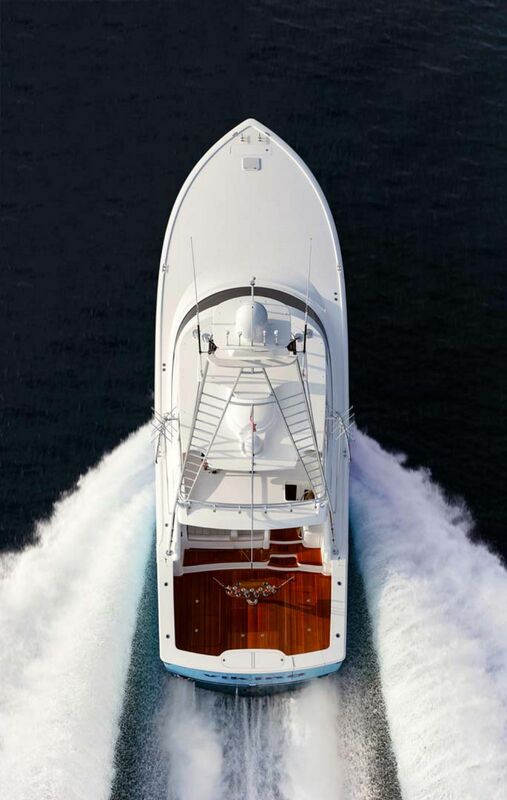 With that power, Viking anticipates that the 58C will reach 40 knots and cruise at 35 knots. 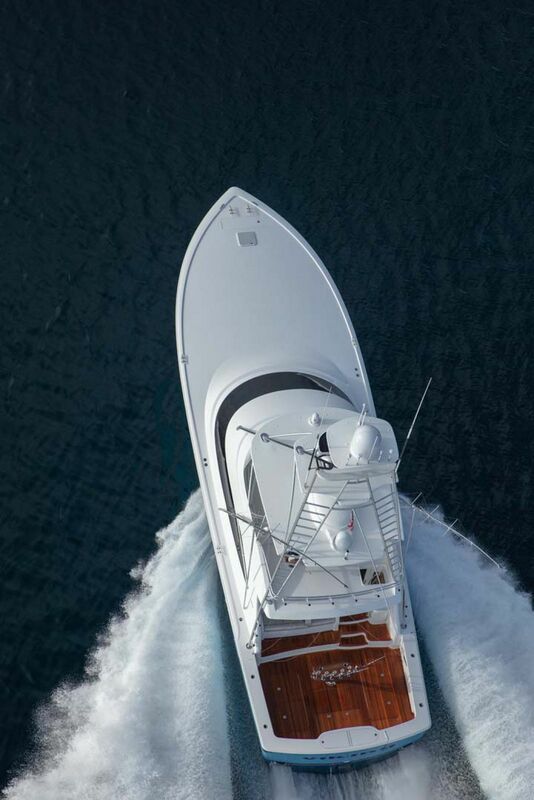 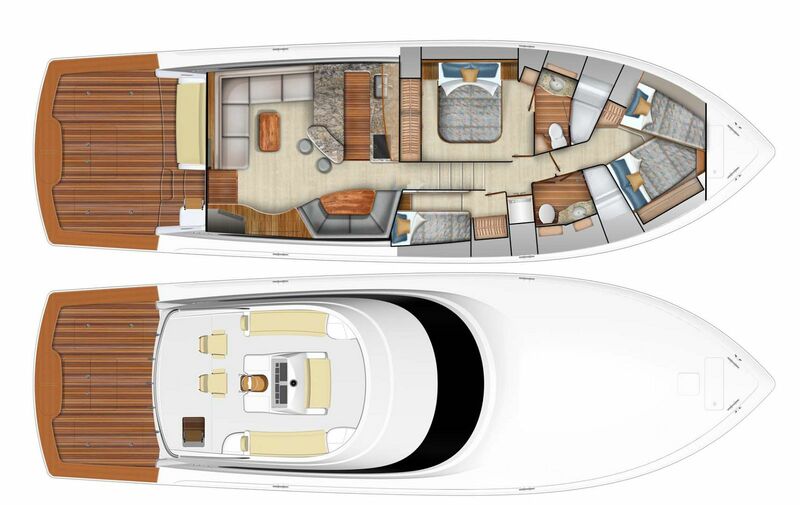 For more information on the new Viking Yachts 58 Convertible, contact your SI Yachts Sales Professional today.